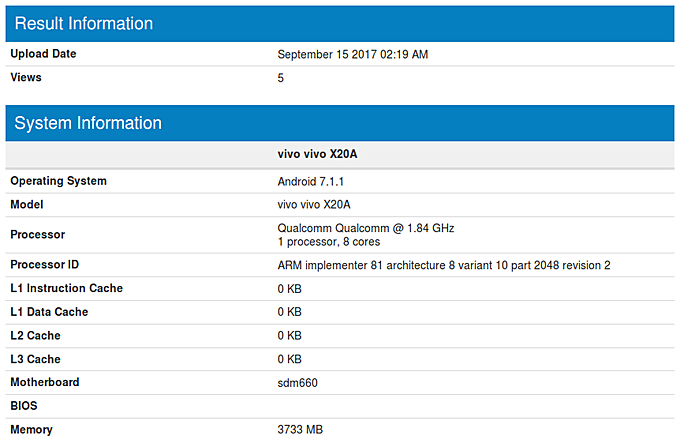 The vivo X20A has been spotted in a benchmark database. The device has surfaced on Geekbench, with the listing revealing a few key specifications including Snapdragon 660 SoC and 4GB RAM. The listing also reveals the handset runs Android Nougat (version 7.1.1) out of the box. 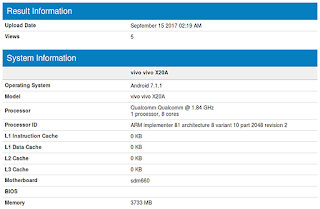 As you might already know, there's a standard vivo X20 as well. It is rumored to be powered by the same SOC, but will come with 6GB RAM. 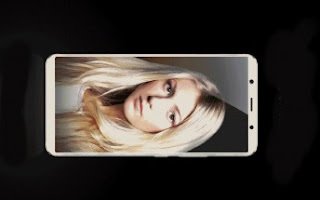 Display is 5.8-inch with 1080x2160px resolution, while camera department is handled by 24MP rear and front shooters. Battery capacity is said to be 3,500mAh. Both X20 and X20A have been certified by TENAA. The Chinese company has officially confirmed that the X20 will be announced on September 21 and the X20A should join it on stage.